Excellence El Carmen is in the happiness business. There may be no more exquisite setting to say your I Do’s or renew your vows than with the Caribbean at your back. 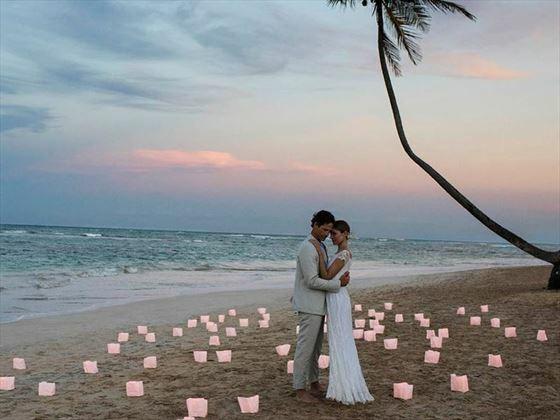 Excellence El Carmen will ensure your special day eclipses your wildest fairy-tale fantasies. 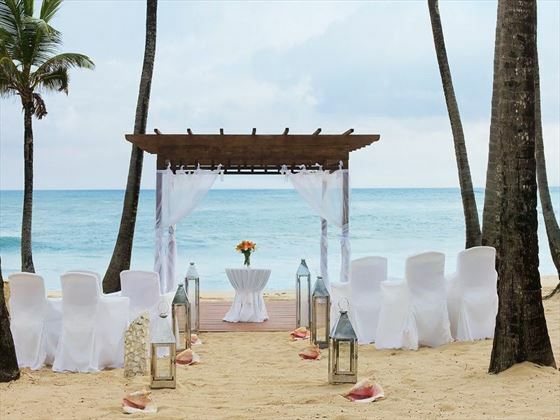 Wedding venues include a beach gazebo settled amidst the golden sands with Caribbean landscape is also the perfect setting to say Yes I Do. Or the stone gazebo - lush shades of green from the surrounding gardens and the beautiful fountains make this gazebo a perfect location for turning your dream wedding into a reality. The Classic Wedding is free when booking an Excellence Club Junior Suite Ocean View category or higher, for a minimum of 7 nights, or with a bridal party of minimum 5 rooms of any category for 7 nights. 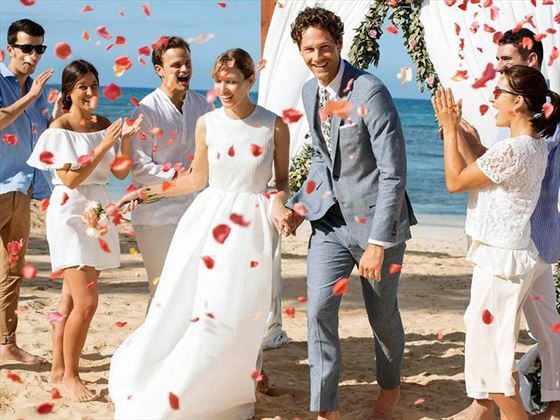 (Please note that the Excellence Punta Cana only offers a small amount of outside wedding guests to come for the day and will be subject to a day pass rate). When thinking about what type of wedding you want, you may also want to think about any family & friends also travelling with you. The Classic Wedding has been designed for Bride & Groom & up to 8 guests. If you are looking to include a wedding reception and you have more than 10 guests, take a look at the Premier & Luxury Wedding packages as these include a private cocktail hour with hors d’oeuvres, followed by a private dinner reception for up to 18 guests staying at the Bride & Groom's hotel. If you hope to say your vows amongst the picturesque landscapes of the Dominican Republic, there is a lot to consider. With an array of translations and certifications required, plus a Judge fee for them to perform the wedding, you’ll be needing to pay $1000 locally before even thinking about the other exciting wedding necessities. This means that many future spouses are deciding to get legally married in the UK, before crossing the ocean for a wonderful symbolic wedding ceremony on this unspoilt island. Ideal for those hoping for an easy-going and more budget-friendly wedding, the wedding package inclusions below are based on a symbolic wedding as all legal fees are paid in resort. (please bear in mind the small fee for the Judge or Minister to perform the ceremony). If you do decide to legally marry in the Dominican Republic, you will be required to bring a number of document translations and apostilles on your wedding paperwork, as well as a Judge fee for him to conduct the legal wedding – all amounting to at least $1000. Please bear this in mind before committing to a legal wedding in this country. The wedding package prices shown below are for guidance only. 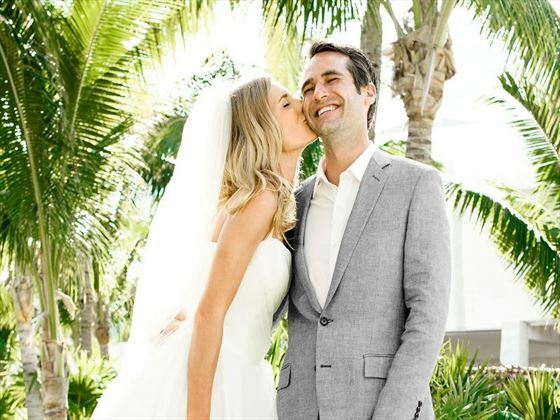 If booking your wedding at the Excellence El Carmen, Tropical Sky will book the wedding for you, however the cost of the wedding package chosen and any wedding optional extras and legal fees are paid on your arrival at the hotel. No wedding deposit is required. Affidavit to prove single status. If you have been divorced, the original of your decree absolute. According to Dominican Law a divorced woman has to wait 10 months before remarrying. WE DO TRANSLATION costs – from US$180 per person. Extra costs payable depending on number of documents. If divorced or previous partner deceased an additional US$105 per person applies. Couples must send documents to WE DO TRANSLATION 12 weeks before the wedding. Please note that you are required to pay locally for the Judge to perform your legal/Civil wedding ceremony. An approximate cost for this is US$540 (subject to change). All original documents must be taken with you when you travel. As Tropical Sky weddings have no jurisdiction over hotels/resorts/venues/legal requirements and their charges, we cannot be responsible for any increases or changes to these wedding arrangements. We will, however, endeavour to advise you of changes as soon as we are made aware of them. All prices and legal requirements correct as of June 2015. Translation of documents. All legal documents must be in English or legally translated into English. All translated documents must be from a legal translator with letterhead, stamp and seal from the translator's office or notarised by a Notary Public. Occasionally the documentation will have to be sent to the Foreign and Commonwealth Office for their approval before being sent back to the notary to sign. The Wedding Ceremony. In most destinations, your wedding ceremony will be conducted Monday to Friday (excluding local holidays). In some destinations, local festivals and holidays will determine available wedding dates. Generally, your wedding will take place in the grounds of the hotel unless otherwise specified. 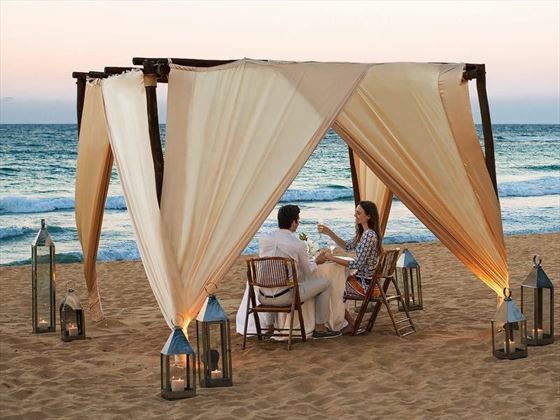 Many hotels offer wedding gazebos for extra privacy. Some hotels may offer more than one wedding per day with the first wedding taking place at around 10am with the last wedding at 4pm. The majority of our weddings are conducted by a marriage officer whose title varies depending on the resort. Where it is possible to be married by a Minister, the ceremony will be non-denominational unless otherwise stated and will be a civil wedding. Tropical Sky Weddings and the information given above only apply to couples that are born in the UK & Ireland & have a valid UK/Irish passport. If couples do not fulfil these requirements they must advise us. Couples should be referred to the embassy of the country of origin and the country where they wish to marry as they may require extra documentation to satisfy their own embassy requirements – Tropical Sky cannot advise on this and couples must investigate this on their own. You may have done some research and found that having a legal Civil wedding in the Dominican Republic can be fraught with additional costs for the Judge, or that you have to or just don’t have the time to complete the array of translations and certifications required for a legal wedding. Regardless if you booked a free wedding or not, the marriage validation, Judge fees to perform the wedding are paid for locally and can amount up to $1000. 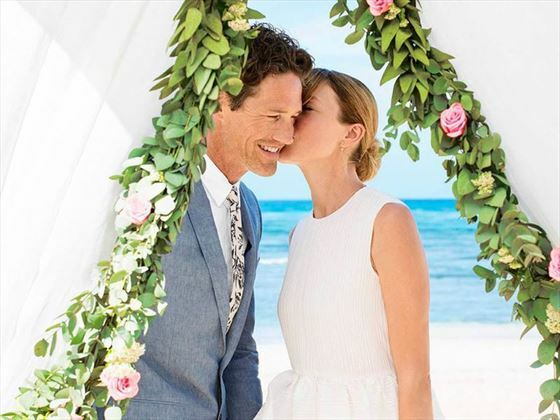 Many wedding couples are now choosing to be legally married in the UK followed by a symbolic wedding ceremony in resort with family and friends. Symbolic weddings are less costly, and a great choice for busy couples that prefer to bypass the gathering and completion of documentation required for a legally-binding ceremony in a foreign country.